In the hunt for Song dynasty poet Su Dongpo's mead recipe, we discovered last time that his recipe for "honey wine" is probably not using honey as a primary fermentable. But we do have Zhang Bangji's report on Su Dongpo's recipe. 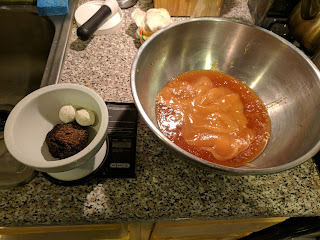 I have no idea whether it's really Su Dongpo's recipe, but at some point it doesn't matter. They were contemporaries, and his recipe is just as reasonable and period as Su Dongpo's unknown recipe for mead. I'm brewing a one gallon batch because I have my shiny new weng-simulant, a large-mouthed jar. The local homebrew store had them, and I think they'll do well. It comes with a lid with a hole for an airlock, but because it's got a mouth and isn't a bowl, fitting cloth over it should also be easy. How much air to allow in is a battle for another day, so I'm going to go the modern route on this one and use an airlock. 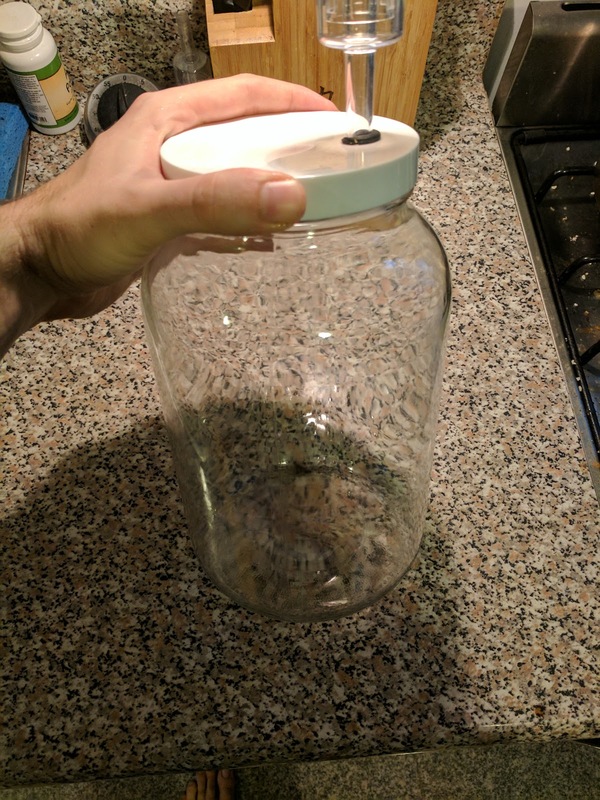 This thing holds a gallon, so I'm going to scale the recipe to fit. The original is scaled to 9.5 L and a gallon is 3.8 L, so we'll scale everything by 0.4. I had a wheat yeast cake that was very nearly 32 grams. I don't know what a "southern baijiu yeast cake" is. Baijiu means "white alcohol" and today refers to a range of distilled spirits, some of which were becoming popular in the Song dynasty, so this may refer to a yeast cake meant for distilling, but it could also just mean a yeast cake for making a white grain wine. Since the author is calling it out, and presumably they came from a distance, hence the "southern" bit, I'm going to assume that they're a more refined kind of yeast cake. 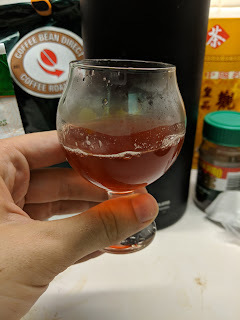 Conveniently, I have a number of the yeast cakes I used to make my first few batches and inoculate my wheat cakes, so I'm using those as my southern baijiu yeast cakes. Two came out to 19 grams, which is close enough. 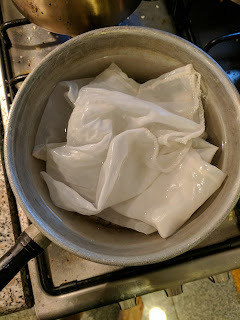 I used a nylon bag used for doing brew-in-a-bag to strain, since my juan cloths are a bit used. 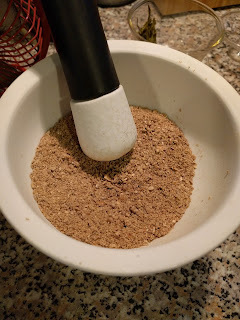 When I've used it to strain grain wine before, it allows through more particulates than the silk cloth does, but it's easier to sanitize, and I'm not pressing it like I do with the grain wine, so I think it'll do fine. I boiled it to sterilize it, since it's going to hold our microbial payload. I ground the cakes, and put them into the bag, which was pretty straightforward. To prepare the must (honey-water before fermenting), I put the honey into my 8 gallon brew kettle. It's overkill, but it has volume markings and it's bigger than a quart, which rules out every other vessel I own. I boiled water in my tea kettle and poured it over the honey until I reached the 1 gallon mark. 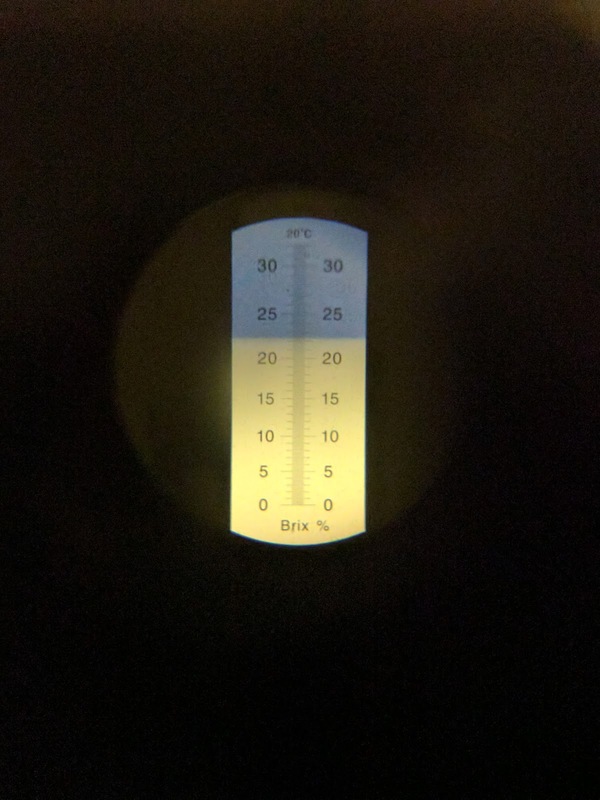 Using my refractometer, the must is 22.2 degrees Brix, which means that it'll ferment out to about 11 percent alcohol if it ferments to dryness, although the yeast cakes will add a little more fermentable matter, as will the additional honey. 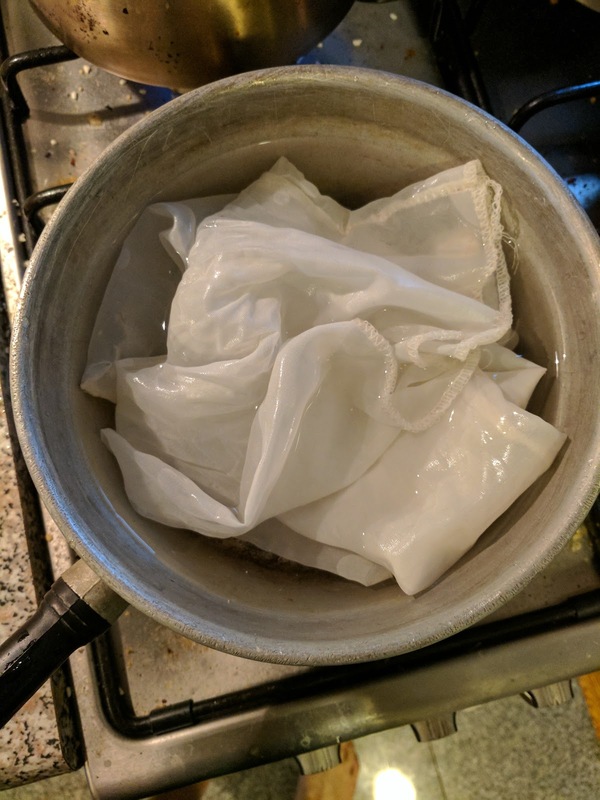 I let the must cool to room temperature in the pot because I didn't want to risk shattering the glass jar with the temperature shock, because I don't want to cook the yeast, and because I suspect that the directions to "mutually agitate" (相攪) might result in aerating the must, which improves the quality of western meads quite a bit. Yeast is mostly anaerobic, but to produce a few oils it needs for reproduction, it uses oxygen. Boiled water has had almost all of the oxygen driven out, so aerating it once it's cool is a good idea. 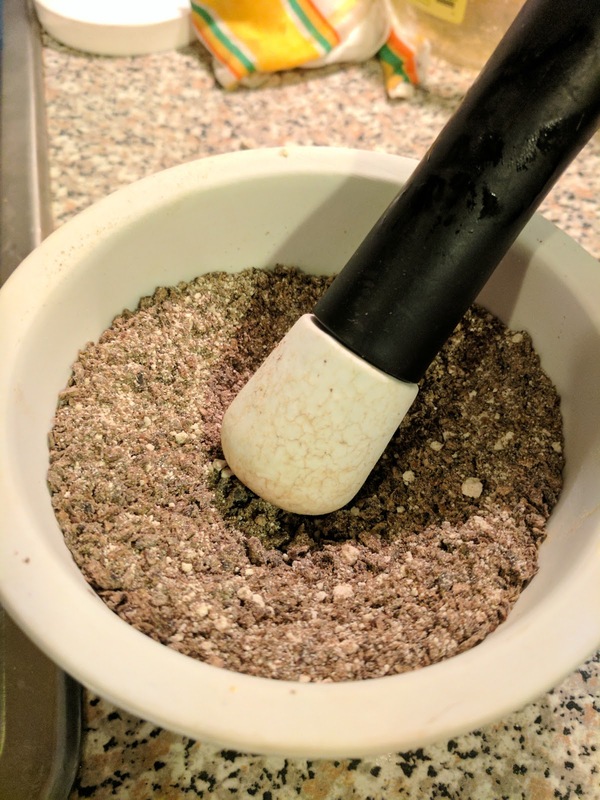 I'm not going crazy though, just stirring it with a spoon. It's unclear how necessary this is with the wheat yeast cakes, and the other microorganisms in the culture, since the wheat may provide enough of the oils that the yeast won't need to make them, and who knows what the other stuff in there react to having or lacking oxygen. 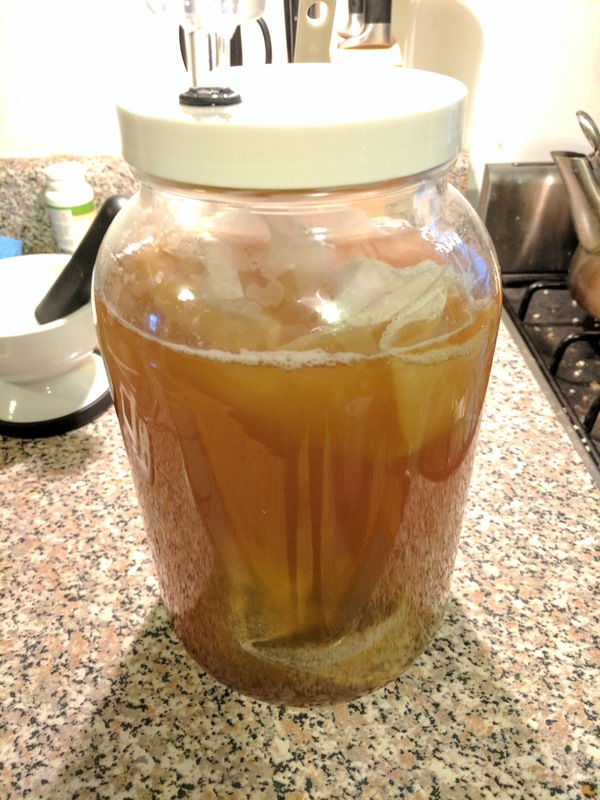 Once it was down to 100 or so I added the yeast. There's no instruction to cool the must in the recipe, so I think cooling completely is probably not intended, although it's a little hard to tell without more recipes from this same author. 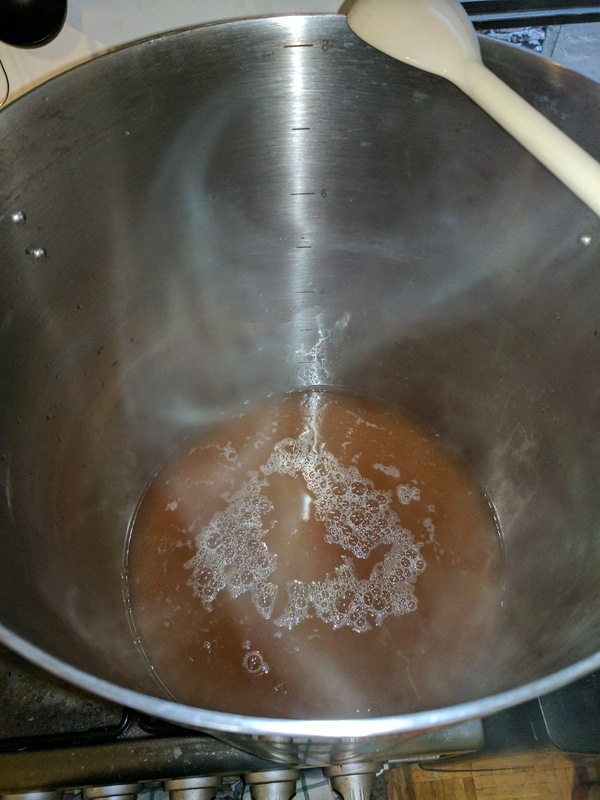 During brewing, very little bubble activity happened, at least when I could see it. 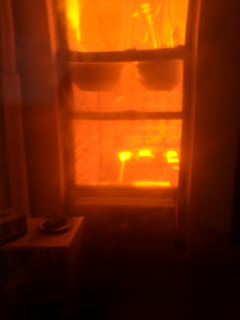 I crushed up two commercial yeast cakes and tossed them in too, to be safe, in case I had heat shocked my initial culture. Because I couldn't identify bubbling, I skipped the optional small second addition of honey. Using the original and final Brix measurements, we get 13.5% using Northern Brewer's calculator (and using the calculator below to get a starting gravity of 1.093). This method assumes that there were no undissolved fermentables when I took the initial measurement. 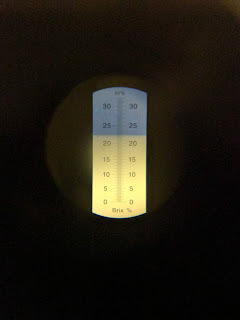 Using the final refractometer reading and the final hydrometer reading. Northern Brewer also has a calculator for this, which gives 13.8%. The two measurements are close, but the second is a little higher, which suggests to me that some of the alcohol is coming from the wheat starch being digested and fermented. I'm not sure I have enough precision to tell for sure, though. The nose is mostly mead-like, with notes of alcohol, candied fruit, and grain. It's got a medium-light body with a slight burn, and is lightly sweet and lightly tart. The aftertaste has notes of grain, and a sake-like character which must be coming from the molds. The honey I used tends to leave a distinct honey aroma, and it did here as well. It's interesting that the mead came out so clearly, especially since the original recipe was taking steps to ensure clarity: keeping the yeast in a fine bag. 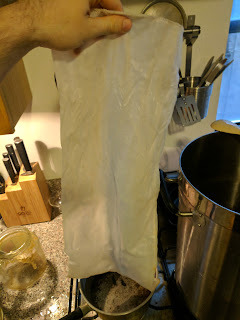 My nylon bag doesn't filter as well, but siphoning does a really good job at keeping sediment out of the final mead, so it balances out. I'm pretty happy with how this came out. 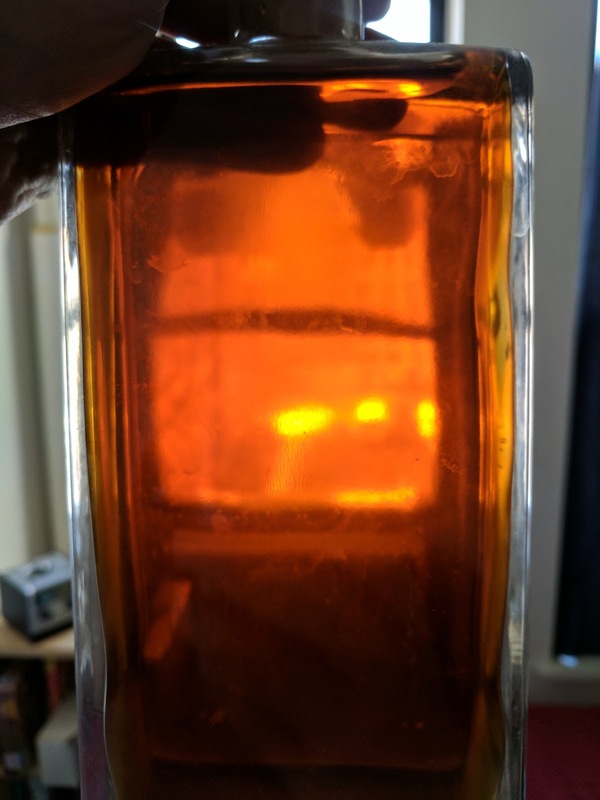 The mead is pleasant to drink, and the yeast cakes add interesting malt notes and a hit of bitterness that balances nicely with the flavors from the honey. If this mead is typical of Chinese meads, then the defining difference between Chinese and western simple meads is the presence of grain and malt flavors, and the sake-like flavors from the molds used. I tried this myself, and the flavor was sweet like rich-tasting shortwine, but experienced drinkers may not enjoy it as much. One thing to try might be fermenting this colder. A cooler ferment should leave more sugar in the wine, although it would be less stable. Warm it up and it might start fermenting again, which is a problem if you want to bottle it. 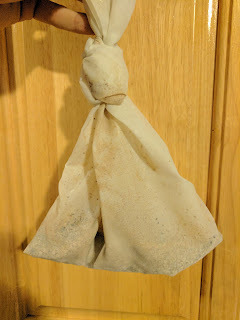 I'll make more of this - this is a good way to use up the old yeast cakes that I've got from 2015, and clear out space for fresh ones which I'll be starting soon.